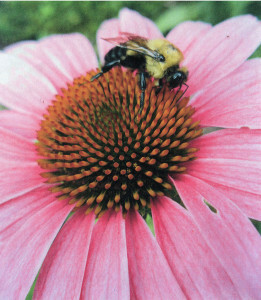 Echinacea purpurea is a striking daisylike flower from North America. It grows in clumps that can reach 30-40in (80-100cm) in height. In August/September time, large flowers with MAGENTA-PINK ‘petals’ & RUST-coloured cones at their centres appear. 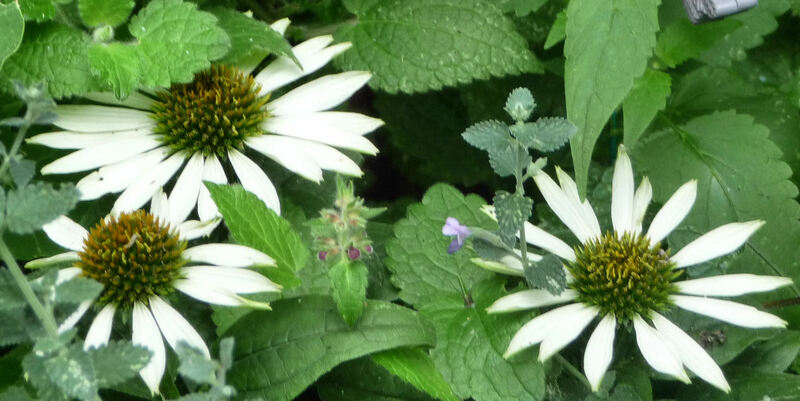 It is the many tiny flowers which make up the cones that are the true flowers. 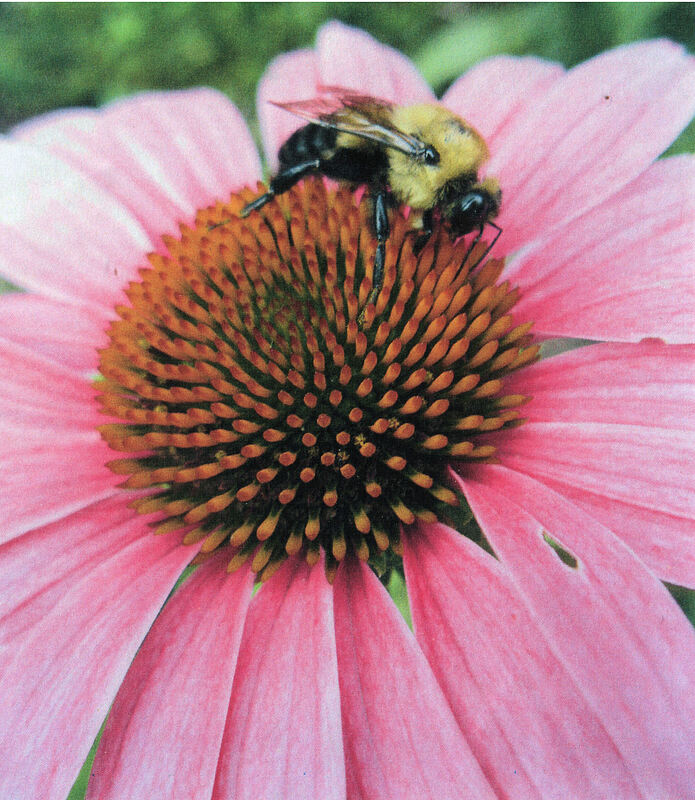 Their nectar brings in the bees, & the Coneflower is indeed a Bee’s Favourite. Coneflowers like full sun, good drainage & poor soil. Once planted, leave them alone; they resent being disturbed. Cut back stems as flowers fade, to persuade the plant to make more flowers. 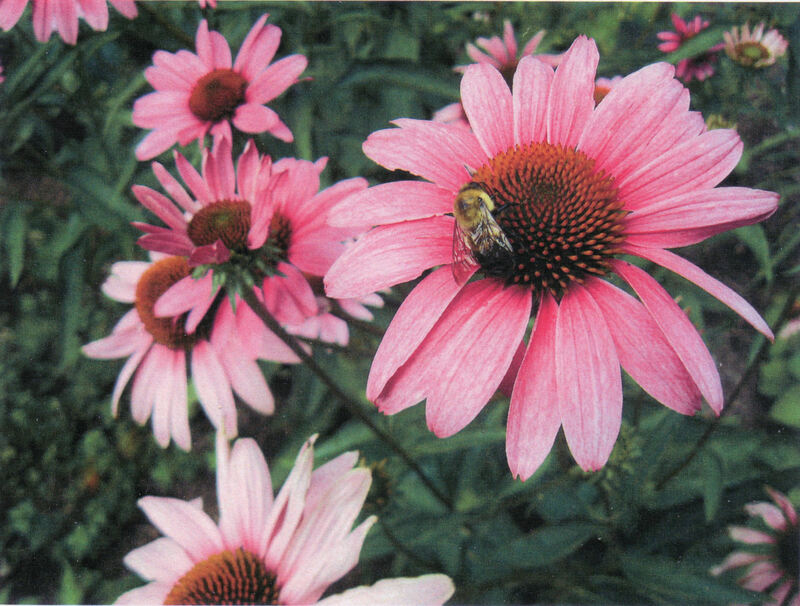 In its native habitat, Echinacea purpurea has to cope with winters of ice, snow and hard frozen ground. Some growers only expect it to last for one season in our British climate, & treat it as an annual. These photos are from friend, oppo & tree correspondent Stephen (Timber Guy), taken on a trip to Philadelphia in 2014.